The word myopia strikes fear into the hearts of most parents when it is used in connection with their child, for it means the child is doomed to wear glasses all through life. For such a condition, we are told, there is no cure. Yet it is here where lies the main bone of contention between Dr. Bates and orthodox oculists both of his day and to-day, for he stated that it can be cured. Experience shows that the short-sighted child can be brought to the ~ condition when it can see normally, and the improvement lasts. Naturally, as this system has only been used in England for just over twenty years we cannot say that the improvement lasts till death. Also, as pointed out in the Preface, the claim is not made that every case of short sight or myopia can be brought up to normal vision, but it is made that hundreds who would have been doomed to the wearing of glasses for years have been able to discard them and see normally. The man-in-the-street has to follow the advice of someone on the question. For years he has followed the orthodox oculists. Nowadays more and more people are coming to the conclusion that in these days of scientific advance it seems stupid to think that nothing can be done to improve short sight. In point of fact, many oculists have started to give glasses that are not strong enough to give perfect vision, and will decrease the strength from time to time. As this book is not a medical treatise, it is not necessary to give diagrams showing how a myopic eye works, nor to give technical terms. It will suffice for our purpose if it is said that the distance from the front of the eye to the back of the eye is too great for the rays of light to be brought to a focus in the right place on the retina. Instead, they spread themselves out over an area. Since it has ab-eady been pointed out here that good sight is the capacity to see detail at certain distances, it is obvious that detail cannot-be seen if too great a portion of the retina is in use at one moment. You cannot get a small jet of water through a large nozzle, neifher can you paint a miniature with a whitewash brush. But what happens to the impressions on the retina? They are recorded by or in: the brain, i.e. attention is paid to them, and it was from this angle that Dr. Bates approached the subject. The bodily organs follow the desire operating through the brain. Therefore the desire to see detail, applied in the right way, must result in the eyeball adapting itself to that purpose, as it is the nature of the eye to give us proper vision.. I will not vouch for the truth of this, but it has been said that certain native tribes turn out of the tribe any child who cannot see. He is told to come back when he can—and often he comes back. The will to see, or its lack, lies at the root of the trouble. A natural question is–Why does short sight come? The partial answer has already been stated–cnvironment and health. But environment is not just the place where we live; the place is filled with people, with things we have to do, with emotional states, with mental stimulus or its lack. The inner environment of emotion, desires, thought, will, is not taken into consideration by parent and teacher, but it is a very important factor. In our mentally `short-sighted’ outlook on life, we look at man as a whole, but not as a whole composed of different states of con- sciousness dealing with different states of matter. We speak vaguely of `mental disorder’, `emotional disturbance’, `character’, but in the ordinary education and training of the child we do not realise that these conditions need as much attention as the body does. Does character grow out of the body and its organs? Or are these organs affected by the character? There is a con- stant interplay between them, as shown by the effect of the bodily organs on the character (witness how we feel when we have a liver upset), and of the character on the bodily organs (witness the ruination of some bodily organs through excessive worry, too rich food, too much drink, and emotional excesses). In the case of the young child, as well as the adolescent, care should be taken that neither worry nor fear should force them forward nor drive them into themselves. The `dreamy’ child may easily develop short sight; the frightened child likewise. And at the adolescent stage special care should be taken. A sympathetic parent or teacher can do much to prevent short sight, and in treating a case there must also be a sympathetic tie between practitioner and child. The `cure’ is effected not by exercises alone, but by the willing co-operation o£ the patient in performing the exercises and learning the `new’ way to use the eyes. In fact, the intelligence of the patient must be used here as it must in any form of education. With children, this sympathetic tie is fairly easy to establish, for most of them wish to discard their glasses, and also, they can themselves see what the exercises produce as a result. 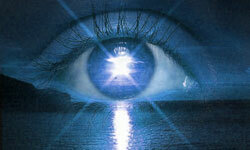 They are no longer blamed if they cannot see; they are shown how to see! This is equally true with short-sighted adults; willing cooperation, use of the intelligence, and the wish to see will produce the desired result. It should be stated here that it is not good to discard glasses at once unless the sight is fairly good, though they can, in almost all cases, be discarded for near work. As the eyes progress, weaker and weaker glasses are used, when necessary, so that there is no discomfort while carrying on the treatment. As to the length of time it takes, naturally this depends on the seriousness of the case, but some beneficial results are seen immediately, so that the patient does not go on working in the dark as to the final result. It is often the case that the glasses being used are much too strong, and these must be weakened at. once. It is strange that so many people have a certain amount of short sight, but get on perfectly if they can recognise their friends within a decent distance, whereas, time and time again, in fact, in almost every case, those with a large degree of short sight are given glasses which give them super-normal vision! There are cases of progressive myopia, leading, sometimes, to detachment of the retina and blindness; there are some cases where the deficiency remains more or less permanent, but, whatever kind of defect it is, the wearing of glasses does not improve the health of the eye if correct habits are not employed. When a child is first found to be suffering from short sight, its health and living conditions should be attended to. But more than this is necessary. For example, one child was becoming rapidly short-sighted. There seemed no reason for this in the eye itself, no change of home conditions, or illness. At last it was found out that every night when she went to bed she had formed the habit of staring at the ceiling while she made up fairy stories. In the former chapters of this book staring is shown as’a habit to be avoided. In this case it was obviously not only exercises that were needed, but the child must give up the practice. In another case a girl of about i i was suddenly becoming shortsighted. I had almost given up trying to find the cause until at last she raised her brow. I told her what that did to the eyes, and she turned to her mother. “That is what Daddy does when he plays with us in the nursery every night.” So that mystery was solved. These cases are not cited as myopic cases, but because if they had not come to this system of treatment they would have worn glasses for the rest of their lives. Apart from the usual hints as to how the eyes should be used, each short-sighted case needs understanding. The principle to be applied is, first, that the person does not have to see farther, but that at whatever distance he is looking he should attend to detail. Ordinarily, anyone who cannot see something in the distance begins to strain in an effort to see, forcing the eyes outward to get nearer to the object. Instead of this, the patient is taught to realise that the sight is in the brain, so that no effort is to be applied by the eyes themselves. It is the attention to details, to separate objects, to the tops and bottoms of objects, that needs to be cultivated. Remembering the quotation as to the value of movement from object to object, short-sighted eyes are exercised by the attention moving from object to object, objects at the same distance away, and objects near and far off. Realising that detail is lost beyond a certain distance, varying in accordance to the degree of short sight, this distance can be made greater, little by little. Rest for the eyes must be given from time to time, and, in fact, the whole knowledge of this system is useful for the varying kinds and conditions of short sight. Short sight rarely exists alone; some form of imbalance or astigmatism is mostly present.